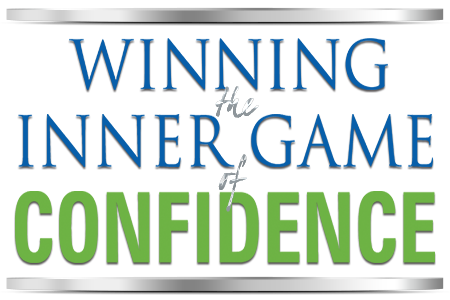 LoDo Media, Inc. (herein referred to as “LoDo Media” or “Company”) agrees to provide Program, “Winning the Inner Game of Confidence” (herein referred to as “Program) identified in online commerce shopping cart. Client agrees to abide by all policies and procedures as outlined in this agreement as a condition of their participation in the Program. In the event that you decide your purchase was not the right decision, within 30 days of enrollment, contact our support team at info[at]tomterwilliger[dot]com and let us know you’d like a refund by the 30th day at 11:59 EST. You must include your coursework with your request for a refund. If you request a refund and do not include your coursework by the 30th day, you will not be granted a refund. A refund will NOT be given if you have not viewed the lessons and completed the exercises. We will NOT provide refunds more than 30 days following the date of purchase. After day 30, all payments are non-refundable and you are responsible for full payment of the fees for the program regardless if you complete the program. All refunds are discretionary as determined by LoDo Media, Inc. To further clarify, we will not provide refunds after the 30th day from your date of purchase and all payments must be made on a timely basis. If payments are not made on time, you agree to pay interest on all past-due sums at a rate of 1.5% per month or the highest rate allowed by law, whichever is greater. If you have any questions or problems, please let us know by contacting our support team directly. The support desk can be reached at: info[at]tomterwilliger[dot]com. LoDO Media’s program is copyrighted and original materials that have been provided to Client are for Client’s individual use only and a single-user license. Client is not authorized to use any of Company’s intellectual property for Client’s business purposes. All intellectual property, including Company’s copyrighted program and/or course materials, shall remain the sole property of the LoDo Media. No license to sell or distribute Company’s materials is granted or implied. By purchasing this product, Client agrees (1) not to infringe any copyright, patent, trademark, trade secret, or other intellectual property rights, (2) that any Confidential Information shared by the Company is confidential and proprietary, and belongs solely and exclusively to the Company, (3) Client agrees not to disclose such information to any other person or use it in any manner other than in discussion with the Company. Further, by purchasing this product, Client agrees that if Client violates, or displays any likelihood of violating, any of Client’s agreements contained in this paragraph, the Company will be entitled to injunctive relief to prohibit any such violations and to protect against the harm of such violations. Client shall defend, indemnify, and hold harmless Company, Company’s officers, employers, employees, contractors, directors, related entities, trustees, affiliates, and successors from and against any and all liabilities and expense whatsoever – including without limitation, claims, damages, judgments, awards, settlements, investigations, costs, attorneys fees, and disbursements – which any of them may incur or become obligated to pay arising out of or resulting from the offering for sale, the sale, and/or use of the product(s), excluding, however, any such expenses and liabilities which may result from a breach of this Agreement or sole negligence or wilful misconduct by Company, or any of its shareholders, trustees, affiliates or successors. Client shall defend Company in any legal actions, regulatory actions, or the like arising from or related to this Agreement. Client recognizes and agrees that all of the Company’s shareholders, trustees, affiliates and successors shall not be held personally responsible or liable for any actions or representations of the Company. In consideration of and as part of my payment for the right to participate in LoDo Media Programs, the undersigned, my heirs, executors, administrators, successors and assigns do hereby release, waive, acquit, discharge, indemnify, defend, hold harmless and forever discharge LoDo Media and its subsidiaries, principals, directors, employees, agents, heirs, executors, administrators, successors, and assigns and any of the training instructors, guides, staff or students taking part in the training in any way as well as the venue where the Programs are being held (if applicable) and any of its owners, executives, agents, or staff (hereinafter “Releasees”) of and from all actions, causes of action, contracts, claims, suits, costs, demands and damages of whatever nature or kind in law or in equity arising from my participation in the Programs. Unless otherwise noted, all products come with an 30 day guarantee. Longer conditional guarantees may apply, so check the sales material at the time of your order for details. If you do not understand or agree with any of these conditions, please do not order this material. If you require further clarification, please contact info[at]tomterwilliger[dot]com.